The SafeCom jockey wheel mount is used to mount the SafeCom or other type of caravan alarm onto the caravan jockey wheel. 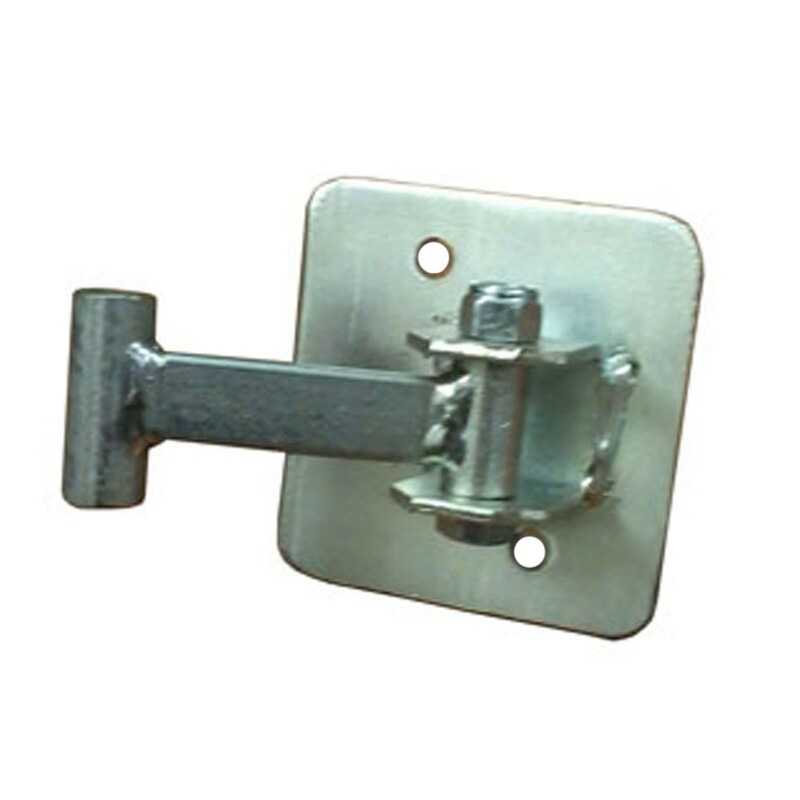 It is a special swivel bracket which allows removal of jockey wheel where necessary without interference to the alarm mounting - a feature requested by caravaners. To install, lower the corner jacks to steady caravan, loosen the jockey wheel clamp handle and remove jockey wheel. Remove jockey wheel swivel clamp pivot bolt and lock-nut and split pin if fitted. Offer the SafeCom alarm support arm anchor point into space left by removed pivot bolt, line up holes, re-fit pivot bolt and lock nut and split pin if fitted, and tighten moderately. Re-fit jockey wheel and handle. The caravan alarm should swivel on bracket with firm pressure applied.